Takeaway: To provide optimal solutions for owners and efficiency during operations, we must use technical truths to determine the best course of action, and not blindly default to the specification as a crutch. I started in the coating industry in what would be considered today as a child laborer. I was 9 or 10 going out with the “guys” lining the bottoms of 275-gallon oil tanks in people’s homes. Fast forward some 40-ish years later and I’ve worked on thousands of projects, from as small as circuit boards to 6-story tall sculptures, multi-million gallon storage tanks and swimming pools of the rich and famous. These days, our services are fundamentally vendor-neutral corrosion mitigation consulting and optimal corrosion mitigation solutions. 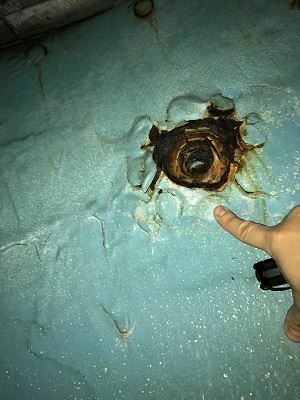 We also provide condition surveys, and I recently had the unique and surprising opportunity to inspect a tank I personally lined more than 20 years ago. The tank is one of a pair of riveted tanks built shortly after the launch of the Titanic and is located in a historic Chicago building. It’s small, roughly 12-feet diameter, and 12-feet tall and contains drinking water. Being the coating nerd that I am (and I embrace my nerdiness, thank you very much) I was really excited to see how my handiwork had held up since the late 1990s, around when President Clinton was impeached and Viagra was introduced (Coincidence? I think not). As I climbed up the last three stories of the 22-story landmark, the details of the job started coming back to me. We were slightly more sophisticated than that, but not much. We used 1240 blast grit which we knew would give us a 3 to 5 mil surface profile (topography). We knew we needed to get the steel white. The coating used was approved by the NSF, 100% solids epoxy that was a dickens to spray. It had about a 12-minute pot life and we used a 45:1 airless rig to hot-pot it. I didn’t particularly care how thick I sprayed it, since it was 100% solids. That is, there were no solvents to get entrapped within the curing film.Did I have a wet-film thickness gauge with me? Of course not. I wouldn’t have known what one was had you handed it to me gift-wrapped with a rose. Upon initial inspection of the tank back then, it looked like a rusted hulk. The bottom of the tank was covered with at least a foot of sludge. 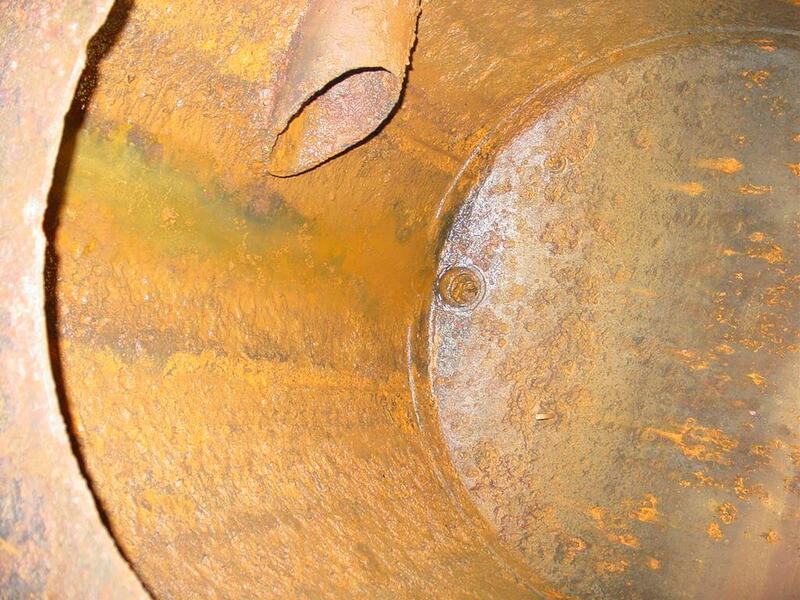 If I’m remembering correctly, abrasive blasting revealed a hole in the bottom of the tank the size of a grapefruit. So we abrasive blasted the heck out of it. 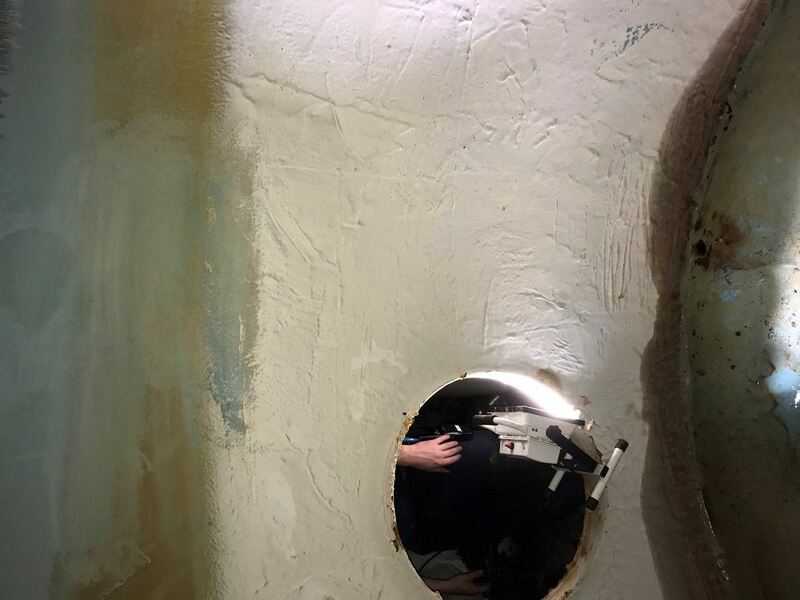 We repaired the hole with layers of resin and fiberglass, and then overcoated the entire tank. Upon inspection in late February, the coating looked as ugly as it did the day I installed it. It was filled with runs, drips, sags and evidence of a spitting spray tip. Yet there wasn’t a drop of rust in the tank, other than in a couple of rivets well above the water line and around a fitting. The coating, for all intents and purposes, was perfect. 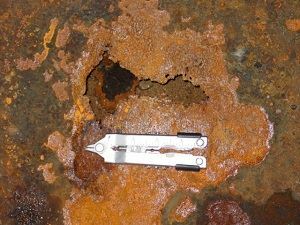 We determined that there was absolutely no corrosion going on inside the tank and the coating was performing flawlessly. 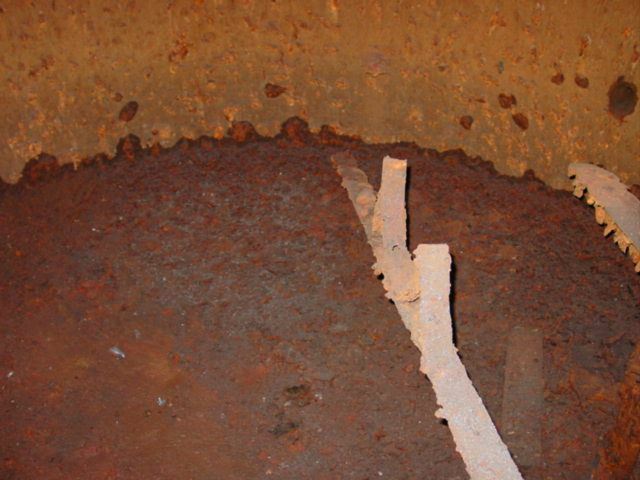 The repaired perforation wasn’t even visible and modified hammer testing indicated the coating was well-adhered. I can tell you, that if this work were to be done today, it would have been a much different story. If we had a third-party inspector onsite, they would have stopped the job countless times, and certainly not approved the final work. 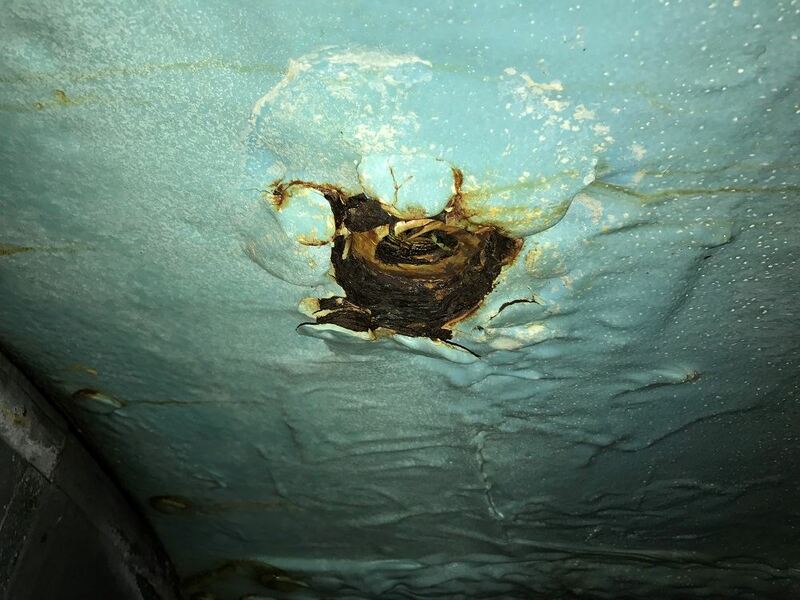 A recent case in point: We were providing ongoing consulting and third party inspection services on a large water tank, which had experienced a massive coating failure a few months prior. We had specified a white-metal blast (NACE 1, SSPC 5) with a 3-5 mil profile. Our inspector called me up and sent some photos. There was a small amount of isolated staining on the tank wall, roughly 10 square feet over an area of around 500 square feet. A white metal blast doesn’t allow for any staining, but a near-white metal blast allows for up to 5%. I contacted the owner’s engineer (who is a NACE 2), the coating manufacturer and the contractor, and we all agreed to the variance. Problem solved in under a half hour. Some of you reading this will take serious offense to the variance because it is technically not complaint with the spec. However, I cannot imagine anyone making a serious technical argument that the variance would make any practical difference to the long-term performance of the coating system. On the other hand, last summer I received a call from a terribly frustrated inspector who was working on a large bridge. The contractor accidentally exceeded the blast profile, which was supposed to be 3 – 5 mils, and instead was 5 – 8 mils. The coating manufacturer was fine with the additional profile (and recommended applying the primer somewhat thicker). The contractor was fine with it and the inspector was fine with it. But the engineering firm stood firm and would not allow the project to move forward because the blast was out of spec. NACE and SSPC are pumping out more and more inspectors into the workforce, trying to meet the demand for inspectors, which is a good thing. Inspectors rarely have the authority to make these types of decisions, and often are hesitant to make suggestions. Inspectors, as we all know, are primarily tasked with observation and documentation. But they, the contractor and anyone else involved in the project, should be encouraged to speak their minds, and offer observations and suggestions, for the betterment of the project. To provide optimal solutions for owners and efficiency during operations, we must use technical truths to determine the best course of action at the moment, and not take the easy way out blindly defaulting to the specification as a crutch. Warren Brand has worked in every aspect, and eventually owned, an industrial coating company for more than 20 years and is currently an industry leader holding an SSPC-PCS (Protective Coating Specialist), a NACE 3 inspector’s certification and is currently a contributing editor and blogger for the industry’s leading technical publication, JPCL (Journal of Protective Coatings and Linings) both domestically and in Europe.